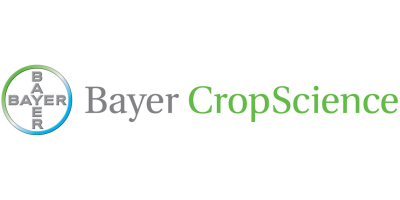 Monheim -- Bayer CropScience has reached an important milestone towards the market introduction of its biological insecticide Requiem in Europe. Its active ingredient Terpenoid Blend QRD 460 has been recently approved by the European Commission. For growers and the entire food value chain, Requiem provides control of sucking pests and extends quality of harvested produce. First registrations of Requiem are expected in some European countries before end of 2016. Market launch in Europe is planned for 2017. “We are very proud of the approval by the European Commission”, said Nick Wright, Global Regulatory Manager Biologicals at Bayer CropScience. “This is the first time a Bayer active substance gains approval under the new EU regulation 1107/2009.” The regulation was designed to ensure high level of protection of both human and animal health and the environment; while improving agricultural production. “The harmonization for the authorization of plant protection products within the EU will help us providing growers across Europe innovative tools like Requiem”, Wright added. Requiem was developed to control sucking pests in a wide range of fruits and vegetables, and some row crops. Requiem is intended for use as foliar insecticide and acaricide – in spray programs, as a standalone or together with chemical crop protection products. In addition to its efficacy level, Requiem offers growers flexible use-rates and flexible application timing. It is exempt from maximum residue levels (MRLs), IPM compatible, has a short re-entry interval, and no pre-harvest interval. Furthermore, it is a valuable tool for resistance management. Requiem is based on the optimized blend of terpenes intended to mimic the naturally occurring extract of the plant species Chenopodium ambrosioides near ambrosioides, a flowering plant commonly known as Epazote and American Wormseed. Bayer was able to get this blend successfully approved in the U.S. and the EU as a single active substance. No comments were found for European Commission approved Terpenoid Blend QRD 460. Be the first to comment!